During October 2018, two very severe cyclones were formed on the two sides of the Indian mainland - Luban in the Arabian Sea (7-13 October) and Titli in the Bay of Bengal (6-14 October) - in what the India Meteorological Department called one of the "rarest of rare" occurences given the unique movement of both these cyclones. 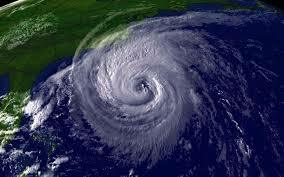 While Titli changed its direction and moved towards the northeast after making a landfall at Gopalpur in Odisha, Luban took multiple recurvatures before making a landfall on the Gulf coast. 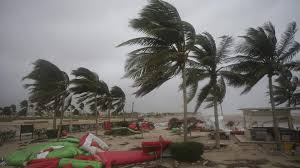 Even as Titli continued to batter out coastline with strong winds speed touching close to 149 kmph, torrential rain and a metre high storm surge, a prepared Odisha administration was all set to dampen its spirits. It had set for itself the target of 'zero casualty'. Around 3,00,000 people from low-lying areas and kuchchha houses, especially in ﬁve coastal districts of Ganjam, Puri, Jagatasinghpur, Khurda and Kendrapara, were evacuated and brought to designated shelters. Emergency services such as hospitals and power companies were put on alert. Schools, colleges and anganwadis were ordered to shut across the State for October 11 and 12. At least eight trains were cancelled and the Khurda Road (Odisha) - Vizianagaram (Andhra Pradesh) section was closed for trains on the day of expected landfall. Fishermen were warned not to venture out to the sea. National Disaster Response Force (NDRF) teams were put on standby and armed forces alerted for providing immediate assistance, if needed. The government was also closely monitoring rainfall in Bansadhara and Rushikulya river basins in southern parts of the where the cyclone is likely to have more impact. District administrations were on high alert; control rooms were set up. Andhra Pradesh had put up similar preparedness measures in place. The Centre too was on its toes. Union Cabinet Secretary Shri P. K. Sinha on October 10 chaired a meeting of the National Crisis Management Committee (NCMC) to take stock of preparatory measures for the impending landfall of Titli. The meeting was attended by senior oﬃcials from the Ministry of Home Aﬀairs, Defence, National Disaster Management Authority (NDMA), NDRF, India Meteorological Department (IMD) and Integrated Defence Staﬀ (IDS). Odisha, Andhra Pradesh and West Bengal participated through video conference. India was ready for Cyclone Titli. It struck with full force. It killed 93 people - 77 in Odisha, including those gone missing - Gajapati (52), Ganjam (19), Kandhamal (02), Keonjhar (01), Nayagarh (01), Angul (01) and Cuttack (01) and 16 in Andhra Pradesh - Srikakulam (14) and Vizianagaram (02). 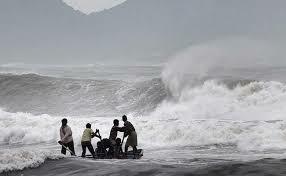 It aﬀected more than 60 lakh people in Odisha and more than 14 lakh in Andhra Pradesh. Cyclone Titli damaged huts, tore tin roofs, fell trees, broke poles, battered vehicles, mangled electricity wires, blocked roads and scattered debris all over the place. It also disrupted the communication networks, the supply of essentials such as bread and milk and led to long power cuts. Flights were either cancelled or re-routed. The story of Titli, however, does not lie in what it did. It lies in what it could not do. Despite its ferocity, the number of deaths was contained within two digits. With the IMD accurately predicting its path and ferocity well in advance, a pro-active government machinery timely putting preparedness and mitigation measures in place, and the indefatigable spirit of the aﬀected people, the States picked up their pieces and were up and running within a few days. Due to eﬀective strategies adopted during the preparatory phase, the States ensured uniﬁed action by multiple agencies and speedy mobilization of additional rescue teams, relief material and equipment, and restored normalcy within a short span of time.